SENGGIGI, Indonesia/JAKARTA (Reuters) - Days after a powerful earthquake rocked Indonesia's resort island of Lombok, killing more than 130 people and sending thousands of tourists fleeing, its beach strip stands eerily empty, with shops and hotels shuttered. "It went from high season just a few days ago to absolutely nothing now," lamented Howard Singleton, who owns a beachside restaurant in the west coast town of Senggigi, ravished by striking sunset views of a volcano on neighbouring Bali. Foreign and domestic tourists fled after Sunday's earthquake of magnitude 6.9 destroyed homes and displaced tens of thousands of people, adding to the havoc from an earlier quake on July 29, although of smaller magnitude, at 6.4. "We've had light earthquakes in the past, but never anything like this," said Marcel De Rijk, owner of Lombok boutique hotel chain Puri Mas Resort, whose beachside hotel and villas will stay closed until September for repairs. "We've lost a lot of bookings and future guests are in wait-and-see mode," he added. 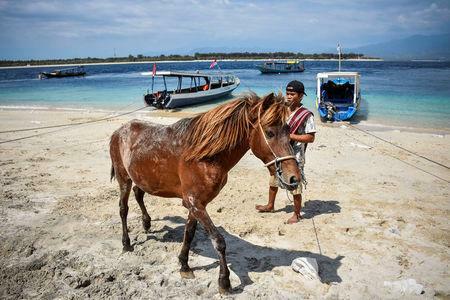 "I don't think people will choose Lombok anymore this summer." Cancellations of tour bookings for Lombok, Indonesia's second-biggest tourism destination after Bali, have surged, the Association of Indonesian Tours and Travel Agencies told Reuters. "I imagine things will be pretty desperate and I don't expect things to improve before next year," said Singleton. "I don't foresee any long-term tourism impact for Indonesia," said Matt Gebbie, Asia-Pacific director at tourism consultancy Horwarth HTL. "But the short-term impacts are heartbreaking for local communities. Tourism dollars will go a long way in helping the communities rebuild." The quake could not have come at a worse time for President Joko Widodo, who declared last month that Southeast Asia's largest economy "needs dollars now" and launched a tourism drive to narrow its current account gap and shore up its currency. Widodo had ordered ministers in July to find ways to build up a tourism sector that is mostly underdeveloped, despite the country's pristine beaches and scenic landscapes. Tourism directly contributed less than 2 percent to Indonesia's economy in 2017, far below Thailand and the Philippines, the World Travel and Tourism Council says. Lombok is one of 10 new destinations, dubbed "the new Balis", that Indonesia is developing to help attain Widodo's ambitious target of boosting tourism revenues to 8 percent of GDP and attracting 20 million foreign tourists a year. Any impact on tourism from the earthquakes will be temporary and will not derail plans for October's IMF-World Bank annual meetings in Bali, Luhut Pandjaitan, the coordinating minister for maritime affairs, told domestic media. "History shows that even after the worst scenarios ... tourists will always come back. 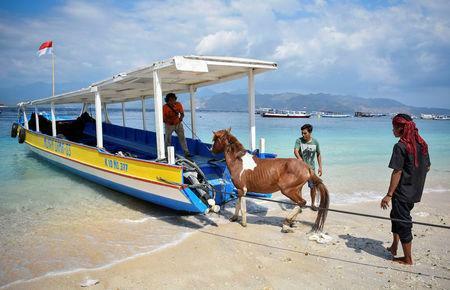 Lombok is such a beautiful place," he said.